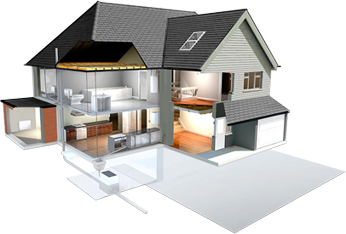 Home renovations and maintenance with a track record of quality work completed. No job is too big neither too small for Canterbury Construction Services. Canterbury Civil and Construction Services has several satisfied clients since it has begun operations in the Northern Cape. Through this service, we offer professional deep cleaning of Domestic & Commercial Carpets, Upholstery, Mattress, Rugs, Leather, Curtains as well as Car Valets at your work place or premises of your preference. We do once-Off general Cleaning or and other house or office cleaning services. Canterbury is proud of the fact that we make use of only trained and experienced Staff, well managed and supervised. Our policy is to meet or exceed the expectations of our customers by supplying cleaning services that confirm to their specified requirements, on time, every day. We strive to be respected and trusted by our customers as being responsive and innovative, while providing cleaning services with the best value. We are proud of the fact that we always strive to keep our Customers happy and satisfied. First impressions count and so do second and third impressions and every impression after that. Canterbury offers general cleaning and building services along with total floor care – both routine and periodic with the goal of helping your business make a great impression, every time. We understand the trust people place in us to make their offices and facilities make that good first impression and set a standard for each visit after that. We work with our clients to turn their office into a shining business and keep it that way.After all your business image is our business. We strive to improve the look of any facility and provide clients with the confidence they deserve. Our, employees are trained to give your office or facility the most thorough cleaning it has ever had, every time. Canterbury delivers the service you expect, with the integrity you deserve.